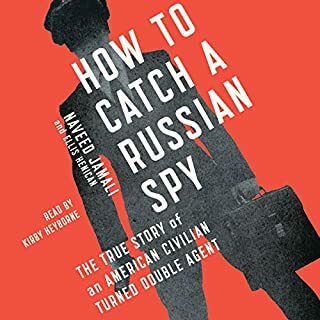 For three nerve-wracking years, Naveed Jamali spied on America for the Russians, trading thumb drives of sensitive technical data for envelopes of cash, selling out his own beloved country across noisy restaurant tables and in quiet parking lots. Or so the Russians believed. In fact this young American civilian was a covert double agent working with the FBI. The Cold War wasn't really over. It had just gone high tech. Racehorses with Tourette's syndrome, spinning dogs with epilepsy, cats with obsessive-compulsive disorder, feather-plucking parrots with anxiety, and a diffident bull terrier with autism - these astonishing cases were all helped by One Medicine, which emphasizes the similarities, rather than differences, between animals and humans. 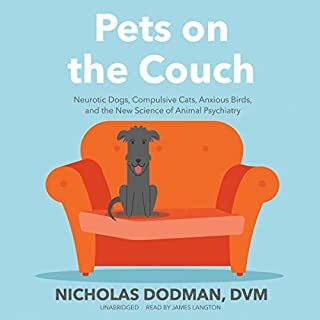 Inspiring, sometimes heartbreaking, and utterly fascinating, Pets on the Couch demonstrates how what we share with our animals can only lead us to a greater appreciation for them - and for our mutual bonds. The Oliver Sacks of Vets! Brilliant! This real-life The X-Files and Close Encounters of the Third Kind tells the true story of a computer programmer who tracks paranormal events along a 3,000-mile stretch through the heart of America and is drawn deeper and deeper into a vast conspiracy. 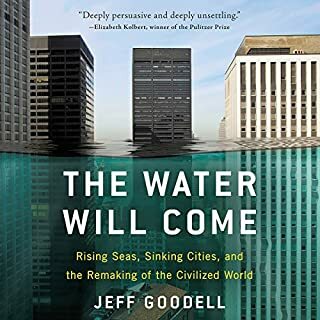 From the author of Apocalyptic Planet, an unsparing, vivid, revelatory travelogue through prehistory that traces the arrival of the First People in North America 20,000 years ago and the artifacts that enable us to imagine their lives and fates. This book upends our notions of where these people came from and who they were. Does anyone "proofread" the audio book? Science fiction becomes reality in this Jurassic Park-like story of the genetic resurrection of an extinct species - the woolly mammoth - by the best-selling author of The Accidental Billionaires and The 37th Parallel. "With his knack for turning narrative nonfiction into stories worthy of the best thriller fiction" (Omnivoracious), Ben Mezrich takes us on an exhilarating true adventure story from the icy terrain of Siberia to the cutting-edge genetic labs of Harvard University. A group of young scientists, under the guidance of Dr. George Church, the most brilliant geneticist of our time, works to make fantasy reality by sequencing the DNA of a frozen woolly mammoth harvested from above the Arctic Circle and splicing elements of that sequence into the DNA of a modern elephant. Will they be able to turn the hybrid cells into a functional embryo and bring the extinct creatures to life in our modern world? Along with Church and his team of Harvard scientists, a world-famous conservationist and a genius Russian scientist plan to turn a tract of the Siberian tundra into Pleistocene Park, populating the permafrost with ancient herbivores as a hedge against an environmental ticking time bomb. More than a story of genetics, this is a thriller illuminating the race against global warming, the incredible power of modern technology, the brave fossil hunters who battle polar bears and extreme weather conditions, and the ethical quandary of cloning extinct animals. Can we right the wrongs of our ancestors who hunted the woolly mammoth to extinction - and at what cost? As a fan of Ben Mezrich I was excited to see his next book arrive. It seemed to get good reviews and I jumped into it with excitement. Imagine if you will, a book that was commissioned by a publisher in the spring of 1941 to tell the history and memories of WWII. 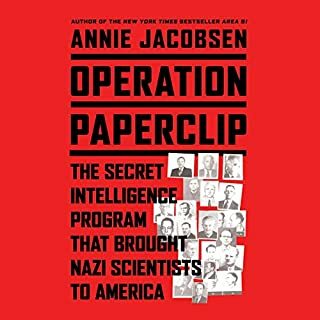 Would such a book provide any justice to the events that happened? Would it even be relevant or accurate, since it would occur before the war ended or even major events occurred like Pearl Harbor or the Atomic Bomb? Well that incomprehensible example i just gave is exactly what this book is. It tells the true "Jurassic park-like story of rebuilding a wholly mammoth" except that the story isn't ready to tell yet. The biggest events of this story are yet to come. It's like reading a 350 page prologue which sets up a historical story that hasn't happened yet. The book even ends saying that it might be 20 years before we actually see this play out. It's clear that Mezrich began researching this story, assuming it would make a great book. On paper it seems like it would (which is why I read it), but it seems like he must have realized at some point that there just isn't enough to talk about here. The first third of the book is much more dense and rich than the remaining two thirds. His publisher was probably getting antsy about printing something they had already paid him an advance on, and so he was forced to cobble together enough contractually obligated pages to send this to print. There are entire chapters dedicated to background characters that are only mentioned a few times outside of their origin story chapters. Mezrich flips back and forth between multiple very weak story lines to drag out the minimal content that he has for the primary story. You will hear about 3-4 different stories that are only correlated in the loosest sense. In the end, i don't blame Mezrich's writing. I think he did the best he could do. It's well written and descriptive. Unfortunately there just isn't anything of substance here. He has to lean on detailed depictions to fill pages, not to illustrate a story better. It's like writing about how paint dries, you can do your best to make it descriptive, make it feel like the reader is next to you watching it dry, you can go into immense detail about the science of paint and how or why it dries, you can tell side stories about the man who invented paint originally. But at the end of the day, it's still a story about watching paint dry and there just it's just not a story worth telling. The first third of the book will make great exposition to the story when this book gets rewritten in 20 years (after all the foreshadowed things actually happen). But until then go read one of Mezrich's other books. This book has no end. The final chapter can easily get misunderstood for any other chapter. I actually had to check my audio file to see if the app messed up when the book ended. The final words didn't feel anything like an ending. In fact it felt like a buildup for the next chapter. I wondered if I had to download another part of the book or something. It was very confusing, disappointing, and worst of all, unsatisfying. Seriously one of the worst books I've ever read. There's a lot of tangential padding between the sections of salient content in this tale of recent developments in genetic engineering, such as education and employment histories of the researchers. Get past the weeds and there's an interesting record of how and why humans are attempting de-extinction of the woolly mammoth. The prose has neither beauty nor brilliance, coming as close to factual reporting as creative nonfiction can be. The audiobook narration pauses awkwardly midphrase, time and again, which is all the more surprising because it's the author reading his own words. Very little to do with wooly mammoths, mostly about the life of George Church. This book has very little involvement with wooly mammoths. I did not choose to read a biography on a scientist. I typically don’t read scientific books but thought that the revitalization of woolly mammoths would be interesting. Unfortunately this book is mostly about the life of the scientist, George church. I thought about discontinuing listening to it, but I don’t like quitting on a book or movie. Learned about the project and the lives of scientists too. Great listening choice for full family with children who have learned some genetic concepts (10 or over?). I don’t know whether it’s a bad editing job or just a bad narrator, but this narrator can’t pronounce Pleistocene correctly. And at one point he mistakenly says “substance” when the text clearly must have read “sustenance.” I’m a huge fan of George Church, and loved the author’s previous “Billionaires” work. Great book, but Audible needs to stop phoning it in on their production quality. 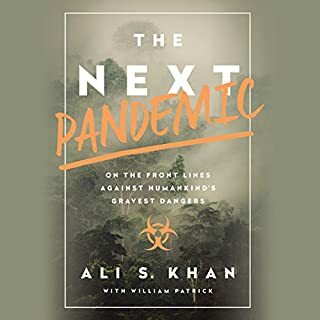 I enjoyed most of this book but I found it very technical and a scientific depth that was less interesting in many parts. I realized the revival of the woolly mammoths was far more complicated and integrated than was thought when the first mammoths were chiseled out of the frozen tundra. Too much unnecessary information and back story. I would love a book that is more interested in Woolly Mammoths. 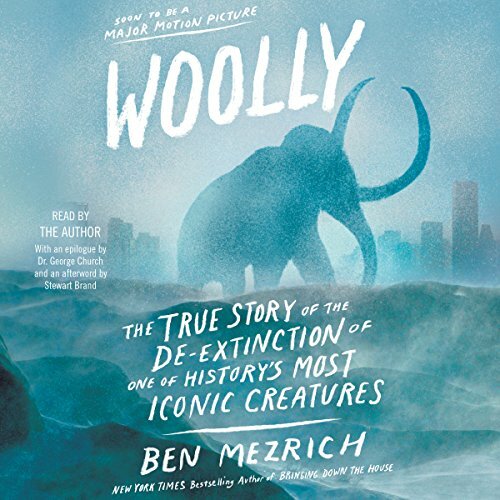 Where does Woolly rank among all the audiobooks you’ve listened to so far? About 4 on 5 pt. scale. Interesting enough to keep. Informative, instructive. I will listen again to this book at least several times. What other book might you compare Woolly to and why? 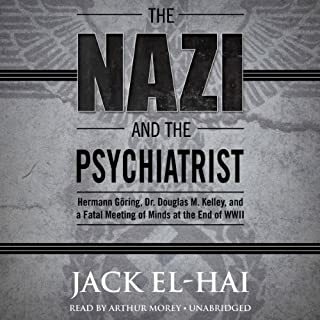 I don't think I have listened to an audiobook quite like this one. Unique. None in particular. I did enjoy the explanations of how genetics is being used to attempt this feat. No. Not a moment that moved me per se, although I was excited when they found the intact mammoth whose blood was still fresh enough to defrost. A nice complement to a steady diet of mysteries, historical fiction, history, science, art and social sciences. I like to be listening at the same time to a few in one or more of these categories. I need breaks between listening to one genre and another.